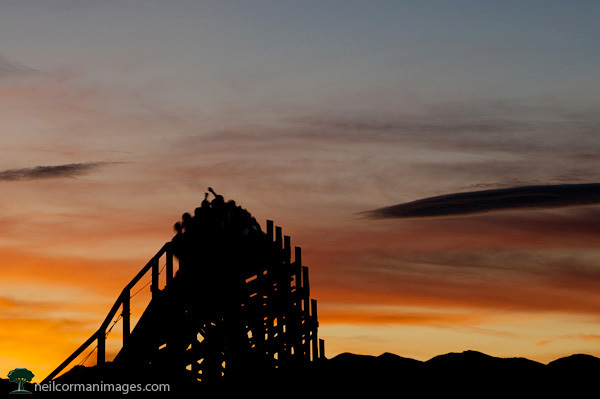 Labor Day marks the unofficial end of summer in the United States, thus this week on the blog will feature some images from around amusement parks in the Denver area. Another season at Lakeside Amusement Park will soon come to a close. You may have visited the park when you were a child, recently or only have driven by and noticed the Cyclone and Wild Chimpunk rides from Interstate 70. This image was taken as the Cyclone heads past me into the Colorado sunset on a nice summer evening.